Modes. There's a word you run across all the time in amateur radio. 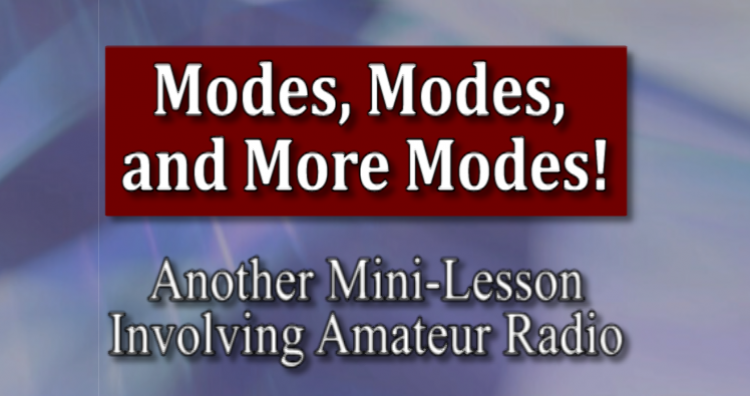 What exactly do we mean by mode? Well, the answer is: it depends on the context in which it's used. 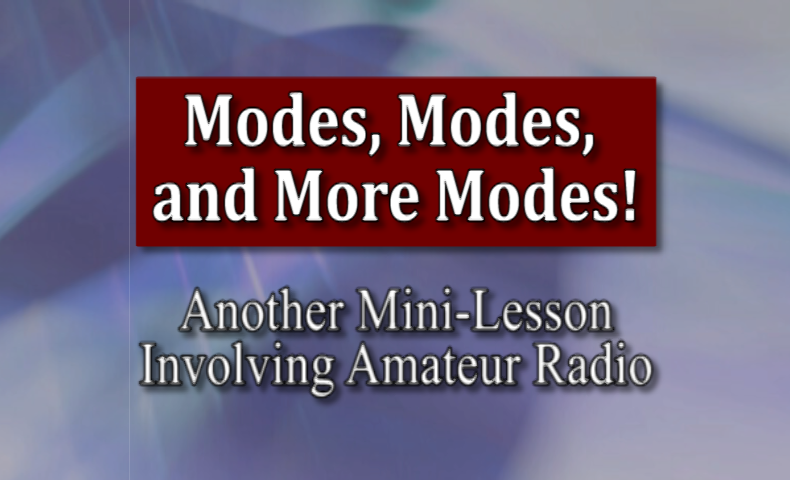 There's modulation modes, operating modes, digital communication modes, and all kinds of other flavors of mode. K9ZXO takes a stab at explaining some of the possible uses of the word in this five minute "mini-lesson".